Award-Winning Pop Superstar; Ariana Grande @arianagrande was red hot on the Red Carpet in a Romona Keveža Collection Romona Red silk crepe gown with corset bodice and a fluted skirt to the 58th annual Grammy Awards. Modern Family star, Ariel Winter @arielwinter in Romona Keveža at the SAG Awards. Actress Kate Beckinsale @katebeckinsale in Romona Keveža at the 2016 Vanity Fair Oscar Party. The Big Bang Theory star, Kaley Cuoco in Romona Keveža at the SAG Awards. Award-winning Actress, Scarlett Johansson in Romona Keveža at the 2016 Friars Club gala honoring legendary entertainer Tony Bennett in New York City. Modern Family Star and CoverGirl spokesmodel, Sofia Vergara @sofiavergara in Romona Keveža for her latest CoverGirl TV Ad. 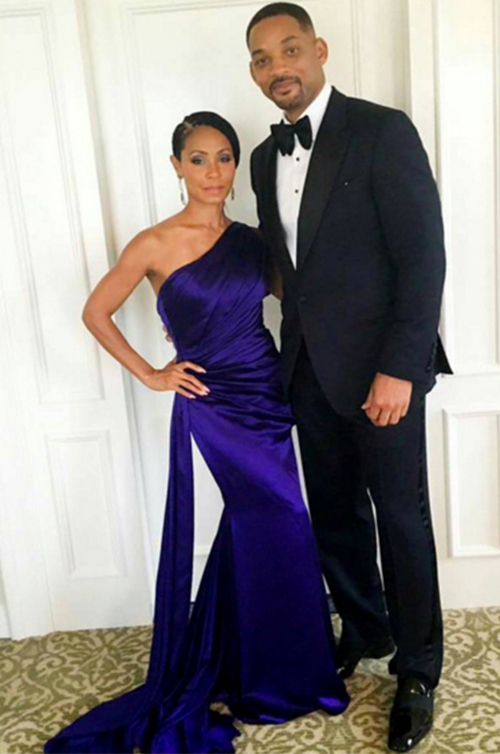 Award-Winning Actress Jada Pinkett Smith @jadapinkettsmiith in Romona Keveža at the 102nd White House Correspondents’ Dinner alongside husband Will Smith. Award-Winning Bollywood Superstar Katrina Kaif @katrinakaif_official in Romona Keveža at Vogue India's 2016 Vogue Beauty Awards. Award-Winning Actress America Ferrera @americaferrera in Romona Keveža at the 2016 Tribeca Film Festival. Oscar Nominee Actress Kate Hudson @katehudson in Romona Keveža at The 2016 Campari Calendar.